With the help of Friday smart lock, you can use your smartphone to remotely control the door of your house, and AES-CCM cryptography ensures the security of data transmission. 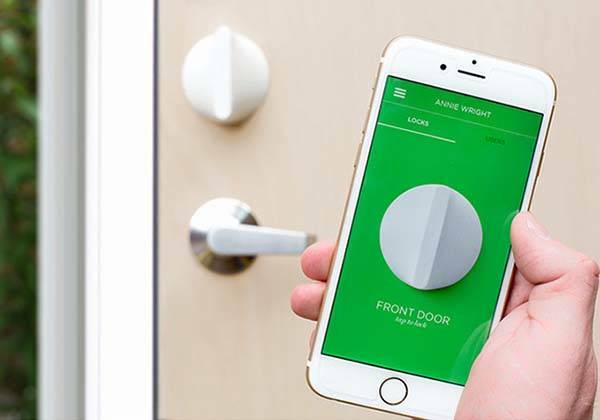 The Friday is an advanced and handy smart lock that measures no more than 3.1 inches wide and 1.87 inches high. As we can see from the images, the smart lock shows off a sleek and simple design along with multiple material options, including oiled wood, brass, steel and porcelain in order to perfectly work with your house door. 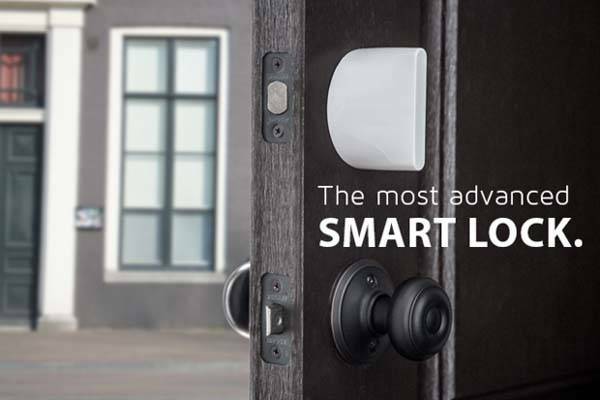 The smart lock features built-in WiFi and Bluetooth, so you can conveniently use your smartphone to control the door or share access to anyone from anywhere temporarily or forever, and keyless entry allows you to get into your house hassle-free. If someone tempers with the front door, the Friday will send you a notification. Moreover, the smart lock is designed based on AES-CCM cryptography in order to protect the data between your phone and the lock, and it’s compatible with most US single cylinder deadbolts and can be installed in minutes. Friday smart lock has been available via Indiegogo. Pledging $109 will let you get it in September this year. If you need it, head to Indiegogo official site for full description. BTW, if you want more options, you may like to check the Sesame smart lock and more by clicking the following tags.